Lots of new additions to the shop!!!! Pop over to the shop to have a looks at these and all the other bits and bobs I have in there!!! More will be added each day for the foreseeable!! So keep checking in and maybe you might find that elusive last few little Christmas presents?!!!! Also have you seen the most recent podcast?! Over on the Tyddyn Bryn YouTube channel for anyone who wants to watch a bit about my crafting and some general farm happenings!! A little crafty update and a teaser for some shop updates this week!! So I have been knitting on Some Christmas socks and the wool is working out ok! Then I’ve finished a project from the WIP wall of shame!!!! Yay!!! So more about them later this week!! Then I’ve been out in the workshop working on some wood crafts and pyrography…. Then for little Sirs Forest school group I’ve been asked to knit some elf clothes so the children can make some little elves!! I finished proto elf last evening!! Along with a few other projects to be revealed later this week!! So stay tuned this week for lots of shop updates and FO posts!!! 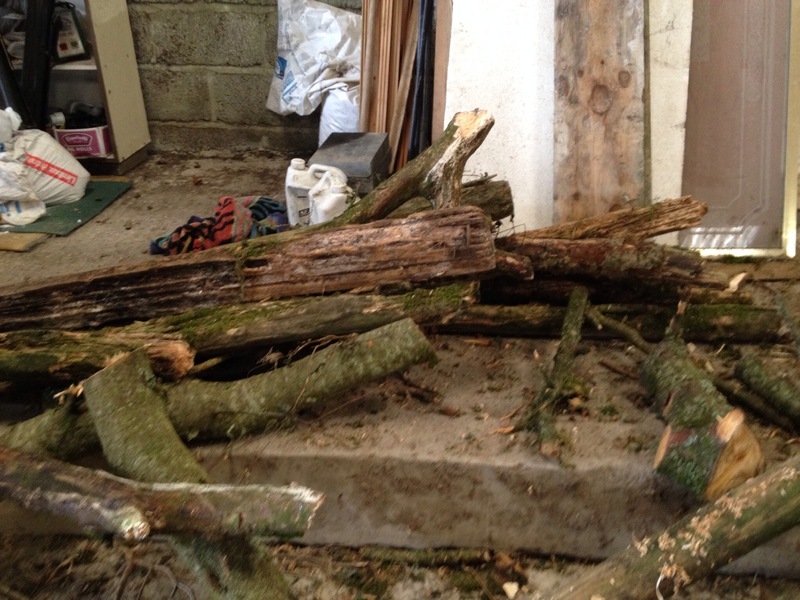 We have continued to process the wood that we have been cutting down….. The logs have been cut and chopped and stacked!!! And we have rearranged the barn a smidge to make more room to stack wood! 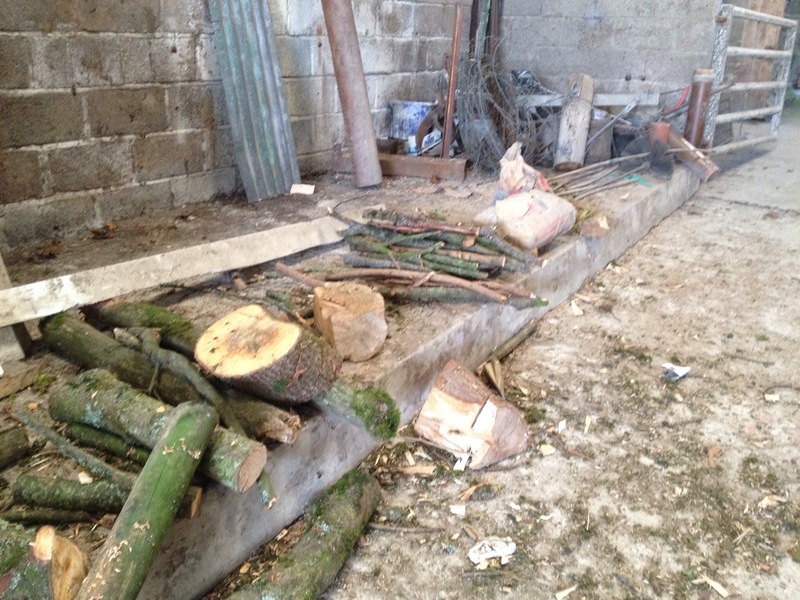 We have been sorting the wood to be sawn and the wood to be chopped…. And even chipping the branches so we can use them as path or bedding mulch!! This gives you a start as to what will burn… I.e. 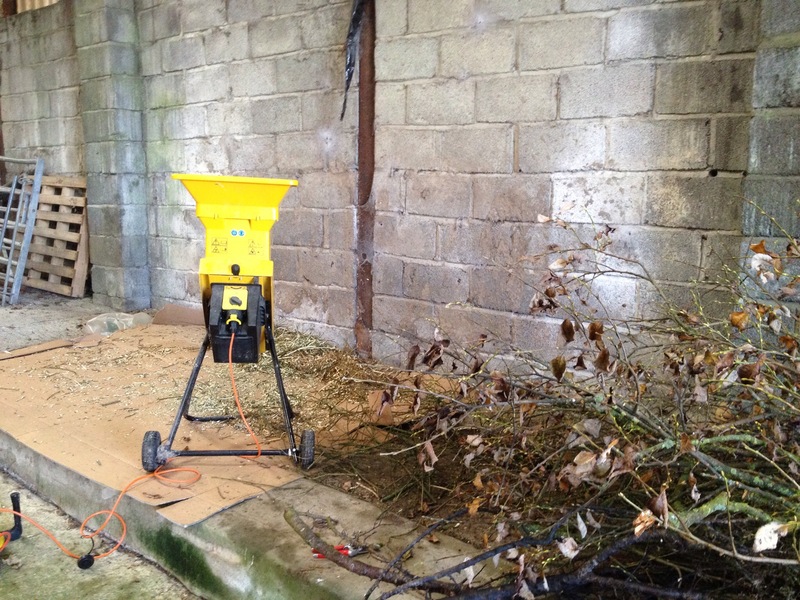 The leylandii will burn quick and bright…. But we have been hunting further…. Willow is apparently also a poor wood…. 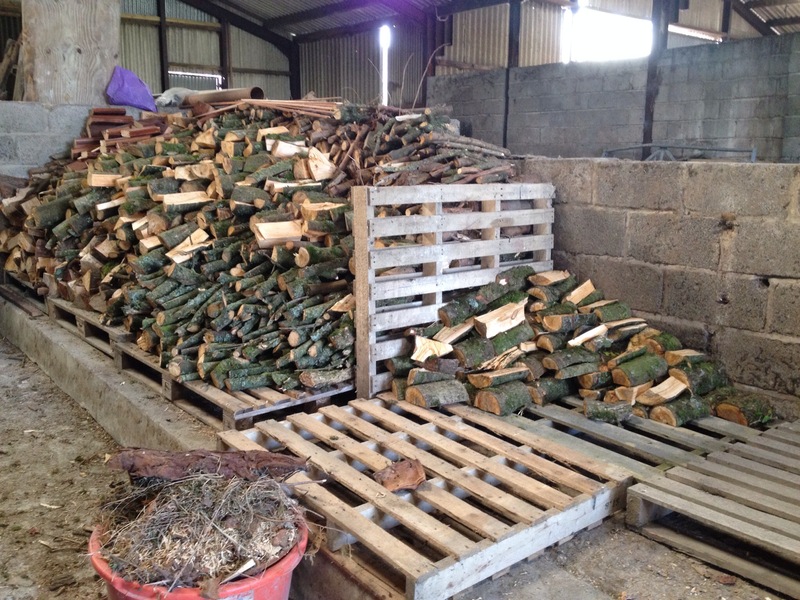 Mmmmmmm we have a few oak branches…. And a load of bits to tidy up!! !